Yesterday, my customers got very lucky. They got to see some Bottlenose Dolphins!!! 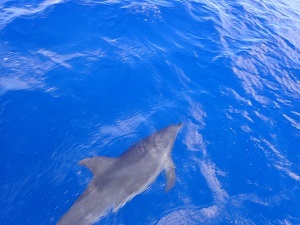 Bottlenose Dolphins only come out a couple times a year. 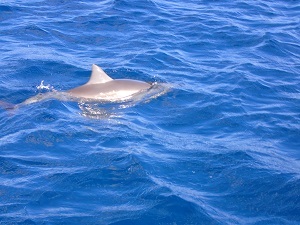 Other rare finds are the Spotted dolphins. Now we are entering a season where whales start coming out. The different types of whales we see are Humpbacks, Sperm whales, Pilots, Melon-heads, Pygmy Killer Whales, False Killer Whales. We were able to see the turtles also!!! Yesterday, the wind was still kind of strong which made the surface a little rough but, we found the turtle!!! Today, the winds shifted so the ocean was more calm and the customers enjoyed the tour!!! Tomorrow we should be expecting the same winds so we should be having another beautiful day. The only thing is that small islands have unpredictable weather so let’s cross our fingers things don’t change!! !